Interfaithfamily.com is a webzine with an array of helpful information for interfaith couples and their families, including extended families. Reformjudaism.org is the website for the Union for Reform Judaism, providing a wealth of information answering just about any question you might have about Reform Judaism. Here is a link to URJ resources for interfaith families. Here is a link to URJ resources for those considering conversion to Judaism. MyJewishLearning.com provides a wealth of information on just about anything you'd like to know about Judaism, Jewish life, Jewish culture, or Jewish history. 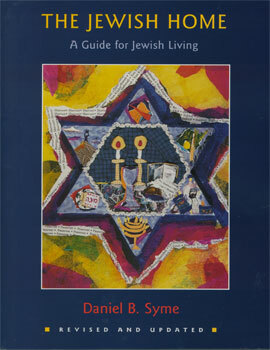 "The Jewish Home" (revised edition) by Rabbi Daniel B. Syme. Explains the "whys" of Jewish holidays, traditions, life cycle events, ritual and practice. Inside Intermarriage: A Christian Partner's Perspective on Raising a Jewish Family by Jim Keen. Practical advice and solutions for how to give a child a clear Jewish identity while maintaining a comfort level for both parents. Mingled Roots: A Guide for Grandparents of Interfaith Children by Sunie Levin. Based on the advice of rabbis, priests, ministers, grandparents, and interfaith couples, Levin offers grandparents productive ways of sharing their Jewish heritage in appropriate ways that will not cause tension with their intermarried children.